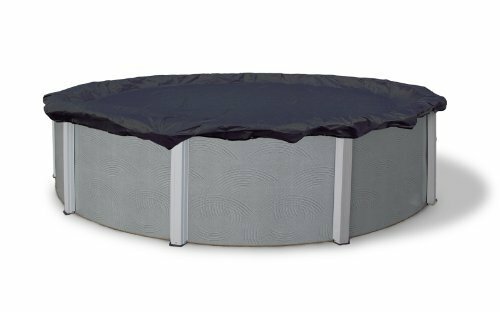 This is the summary of consumer reviews for Intex 12-Foot by 30-Inch Family Size Round Metal Frame Pool Set. The BoolPool rating for this product is Very Good, with 4.20 stars, and the price range is $129.99-$209.99. 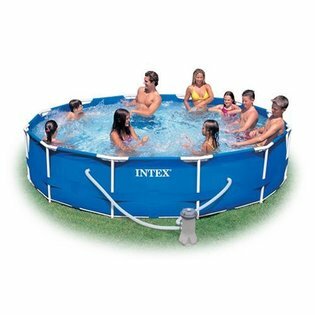 Intex 12’x30” Family Size Round Metal Frame Pool Set is a perfect starter pool to cool off in summer or have fun. This pool is large enough for entire family to enjoy. 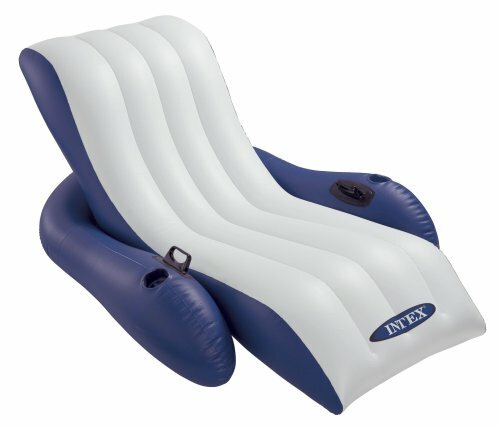 Just spread out on a firm / level ground, inflate the top ring and the pool is ready to enjoy in approximately 30 to 45 minutes. The pool is supported by strong, durable rust-resistant, galvanized steel frames which are powder coated for rust resistance and beauty. Triple strong, SUPER-TOUGH laminated sidewalls are reinforced with an all-around band to keep frame legs firmly in place. The pool holds 1718 gal (6,503L) of water at 90% of fill capacity. It includes 110-120 volt GFCI filter pump with 530 gal (2006L) per hour flow rate and a setup and maintenance DVD. 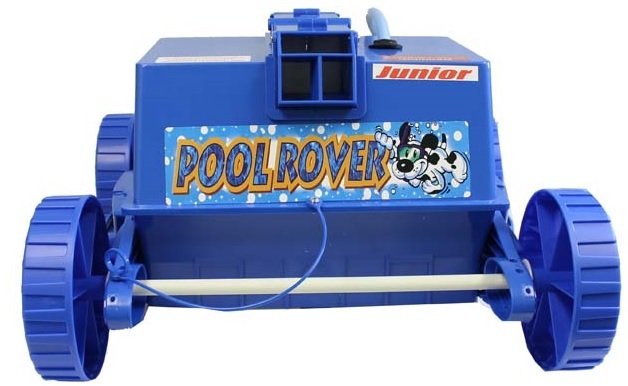 For convenient water drain out, the pool has a drain plug that connects to the hose. Some reviewers do not like the cover for the pool as it is small and hard to work with. The attached rope is short and does not go around the pool. In some case, a defective product was shipped but Intex customer service took care of it and sent replacement product. 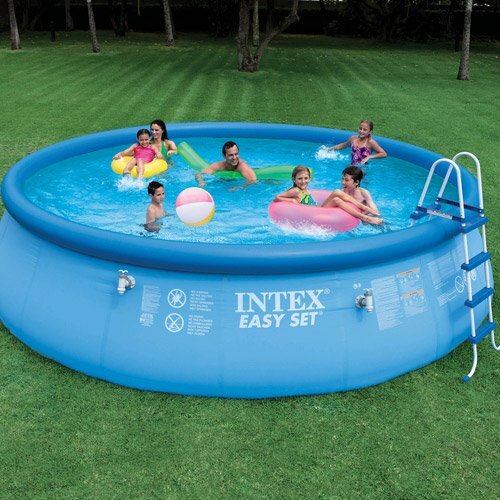 Overall, the Intex12’x30” Family Size Round Metal Frame Pool Set is definitely a fun pool for whole family. 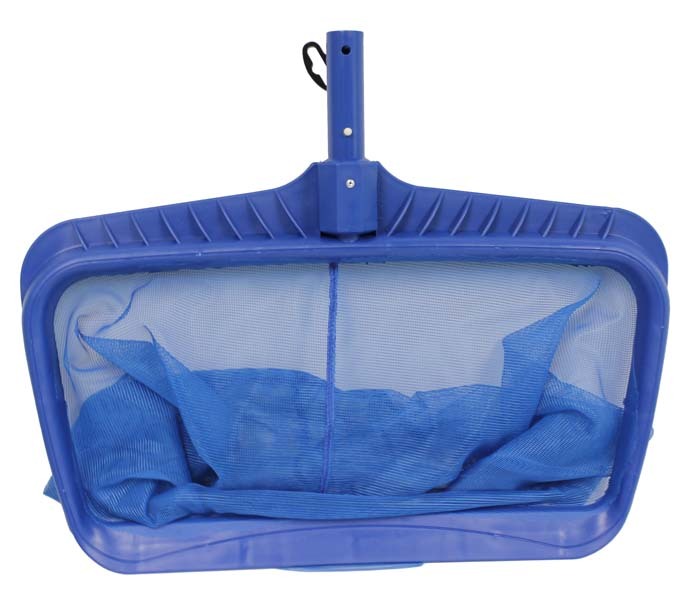 It is secure, sturdy and easy to clean. I really appreciate their excellent customer services. I'd bought the one with the inflatable ring that didn't last 3 days.The skimmer basket never stays in place but doesn't affect anything.So far so good. The pools with the inflatable rings don't last. Intex customer service isn't real good if you ever need to call. I was very excited and received it quickly! We bought the pool and after we set it up, and found there were two tiny holes; I called the manufacture and received a replacement within 48 hours. The quality and condition of the item was excellent but what could have really improved was the price if the item!. 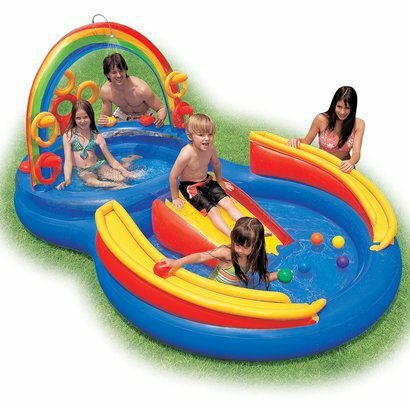 I bought this pool, because it was inexpensive and very easy to set up. I gave them a 3 star because I like the pools, but for customer service, I'd give them 1 star. The walls and liner are pretty thick, I set it up right on the grass in a pretty level part of my yard. We do keep a couple floating air mattresses in the water, which helps keep the cover up, debris out, and cover easier to get on/off (and eliminates the need to find a place to store them). Cover isn't difficult and is certainly heavy enough. I'm disappointed, however, that the pool cover isn't big enough to stretch out and cover the pool and the rope that goes around the bottom of the pool isn't long enough to go around the pool and still be able to tie it in a knot. Easy setup, took about 30 minutes with 2 people, used a 32x32 tarp folded in half to put under the pool. I'd reccomend getting a pool cover before you fill it up. We put down a tarp first and covered it with sand but this grass in needle like and pokes right through. The other thing is the pool cover isn't very easy to work with. Being that we live in Wisconsin, we couldn't set it up until mid-May. Assembly is really pretty easy. I'd to engage Amazon customer service to help out, and even they couldn't get Intex to cover the hole. It's deep enough to swim under water, and over. Filled it up with water at night and came home the next day from work and heard my daughter splashing water in the pool laughing and giggling. Start adding water immediately after putting the frame up. It only got better once it was filled with water. Once filled with water, the poles will be impossible to adjust. I then hooked up the pump and filled the pool with water. The rest of the time was filling the pool with water. Bought this pool, received it, put it up, filled it with water, and it leaked from the start. From the time we opened the box to completing the filter connections adding water, it was under 45 minutes. 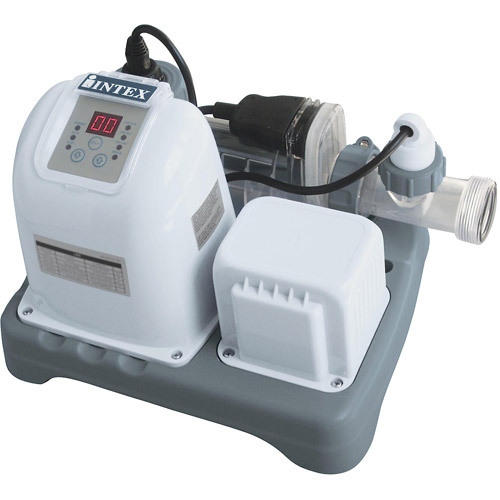 We also bought the Intex salt water system in place of relying on manually added chlorine. First we made sure the hard ground was level. We definitely recommend leveling the ground or you'll have problems. As everyone else stated make sure you've level ground. But next season, I'll be sure to level out the ground first. I highly recommend completely leveling your ground before putting the pool up and filling it. It was so easy to put up but definitely make sure your ground is level or you'll have problems. The ground has to be completely leveled though. the actual setup time is very fast AFTER THE GROUND IS LEVELED. Make sure the water level goes over the pump tubing. I strongly recommend that you make sure that the ground is level. Setup is definitely not as easy as the Easy Set, but then that's why they call it the Easy Set. Easy to set up...sturdy enough for the kids. It's durable and super easy to maintain. 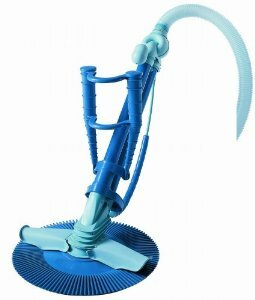 Owned a 12' intex easy set before this purchase and loved it. Not to big and easy to clean. The pump went in easy and the frame is secure. Surprised by the fact it was so easy to install and fill. Pump installed no issues, did get a ladder so it was just as easy to put together.